The Khaled bin Sultan Living Oceans Foundation is a marine science and ocean conservancy foundation. From 2011-2016, the Foundation will circumnavigate the globe aboard the M/Y Golden Shadow working on a single mission called the Global Reef Expedition. Each of the three Foundation’s three divisions work together in order to fulfill the mission of the Foundation. Habitat Mapping: Map and characterize the extent and spatial distribution of different habitats within poorly studied, remote coral reef ecosystems. 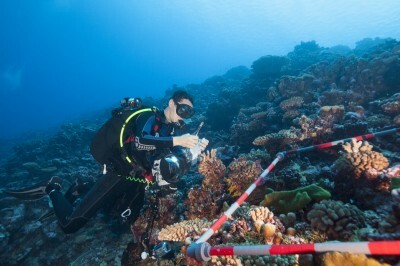 Scientific Surveys: Characterize the community structure and functional role of reef fishes, stony corals, algae and other ecologically and economically important organisms from aquatic ecosystems around the globe. 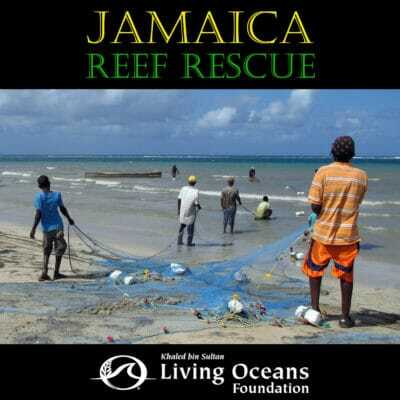 Reef Resilience: Identify their current status and major threats, and examine factors that enhance their capacity to resist, survive and rapidly recover from disturbance. The resulting scientific findings and GIS maps are shared freely with participating countries and scientific and regulatory organizations, and are used to develop sound environmental management strategies for coral reefs. Produces conservation films for international broadcast, online distribution, and local screenings around the world. Professional underwater photographers document the beauty of coral reefs around the world with stunning ocean pictures. The Foundation’s newsletter, blog, and social media streams inform and update users about coral reefs and our work. Articles are written for magazines, newspapers, and websites to notify people around the world about current research, outreach, and education that the Foundation is providing. The Foundation strongly believes in the role of powerful imagery to illustrate the complexity of life underwater, convey ocean conservation messages, and inspire people to care more about aquatic ecosystems. Conducting education workshops and presentations. Creating education materials for students and teachers. Providing yearly contests promoting preservation of the world’s oceans. 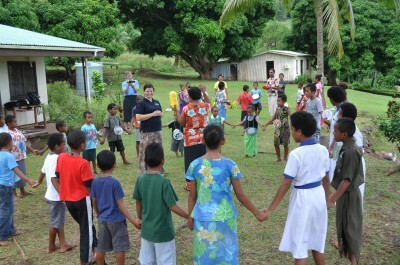 Engaging students and teachers while at sea. The education department will further advance ocean literacy and the conservation and restoration of living oceans.